Bobbi Boss Indian Wet & Wavy Human Hair Weave SWEET CURL 10" - 14"
100% Indian Human Hair, Wet & Wavy has a superior look and touch. 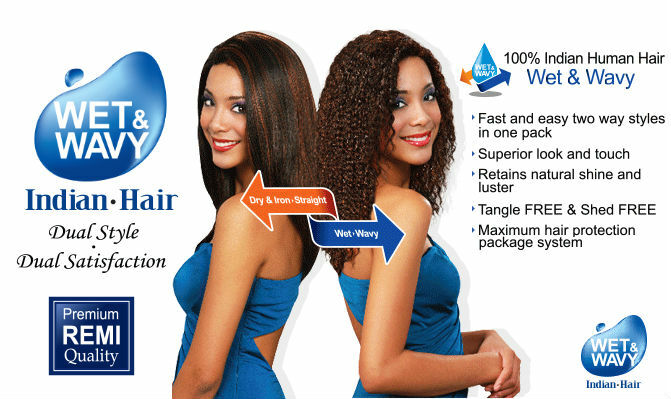 It offers fast and easy two way styles in one pack and retains its natural shine and luster. It is tangle FREE and shed FREE with a maximum hair protection package system.